I like to use Merchant Gourmet Beluga lentils. One 250g pack. Drizzle some olive oil in your pan. Chop up your red onion, remove the seeds from the red chilli and finely slice. Cut 2 slices of lime into quarters (keeping the peel on). Gently fry the onion until soft, then add the garam masala spice powder, gently stirring so that the spice doesn’t burn. 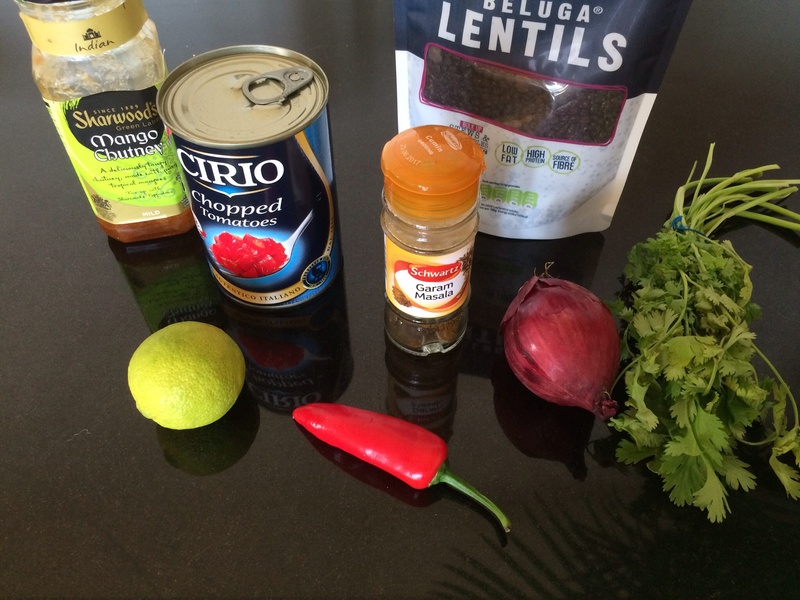 After a couple of minutes add the lentils, tomatoes, chutney and the lime and chilli. Add salt and pepper or 1 tsp of bouillon powder to add a little extra flavour. Gently simmer for about 10 minutes (add a drop of water if it needs it). 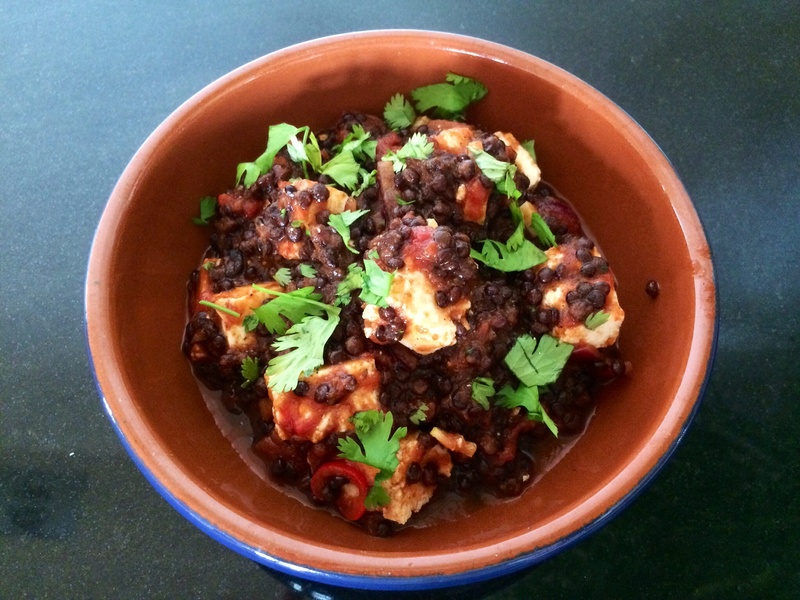 Cut the Paneer into little chunks and add to the lentils. 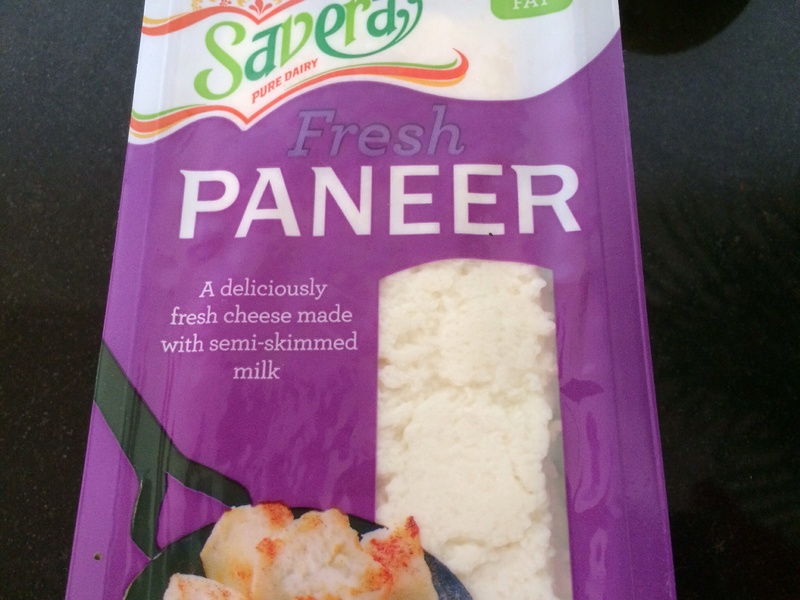 Serve with a little more chutney on the side and a piece of naan bread or a warmed pitta. I’ve added a little snipped coriander to garnish. Delicious! ← Courgette, pea and mint couscous salad.